We are blessed to have a robust Parish Library available for use by our parishioners. Located adjacent to the Parish Office, our bookshelves feature a collection of books and audio-visual materials to enhance your spiritual education and growth. Items may be checked out for four weeks at a time. The library is available to use whenever the Church is open, and all are invited to make use of this valuable resource. 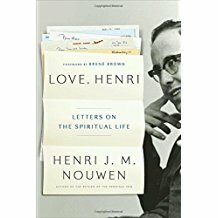 Shedding light on the sacred longings of the human heart, these deeply personal letters from one of the great spiritual teachers of our age offer not only wisdom but practical insight into what it really means to live and lead an authentic spiritual life.